Have you been squinting to see the professor's notes in class? Can't recognize your friend until she's ten feet away? Have you mistakenly ogled some guy until you got close enough to see that he was noticably less cute up close? Ever thought you might need glasses? All joking aside, a great pair of glasses can not only help you see, but is this year's most chic fashion accessory. If you already have a prescription for glasses or contacts, now can buy a great pair of glasses online without breaking the bank! 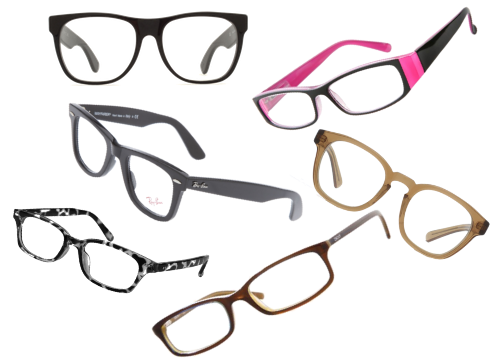 GlassesUSA offers cute eyeglasses of the same quality that you would get at your optometrist for much less. These glasses have anti-scratch coating, UV protection, and anti-reflective coating to give your eyes the best protection. Happy glasses shopping! If you get a pair, let us know how your new frames fit.